Quick Thoughts: 30 ROCK, "The Shower Principle"
I'm a big fan of when TV shows don't take themselves too seriously, so I liked most of "The Shower Principle." First off, I really enjoyed the fact that this episode lampshaded the fact that these characters are aware that they're in a TV sitcom and commented on the fact that nothing changes year in and year out. This bit of meta commentary felt appropriate since one of the issues I've had with this show is its inability to really develop, and it does feel like it recycles the same old jokes over and over again. Heck, last week it literally rehashed storylines from Season 4 (albeit in a humorous way). This kind of self-awareness is always appreciated, and it shouldn't surprise that 30 Rock went there. 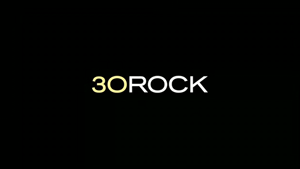 My major complaint had to do with the fact that 30 Rock didn't go anywhere. Sure, the episode was winking at the fact that nothing's changed, but having to sit through another wacky Tracy, Jenna and Kenneth storyline was annoying. Plus, I'm liking Hazel less and less, and there was way too much of her this time around (figuratively and literally). I still don't see what she adds to the ensemble with the exception of making Kenneth's arc this season make a tad bit more sense. Thankfully we got some decent Liz and Jack moments to counteract the others. Overall, I'd say that "The Shower Principle" was classic 30 Rock with a tad too much zaniness but that's OK. I still enjoyed most of it.